German keyboards come with ÄÖÜ. But they lack the character Å, which is frequently used in Scandinavian languages. Here is a quick-and-dirty fix to customize the xkb map for X11 on Arch Linux. Locate the keyboard map in use (e.g. : /usr/share/X11/xkb/symbols/de). 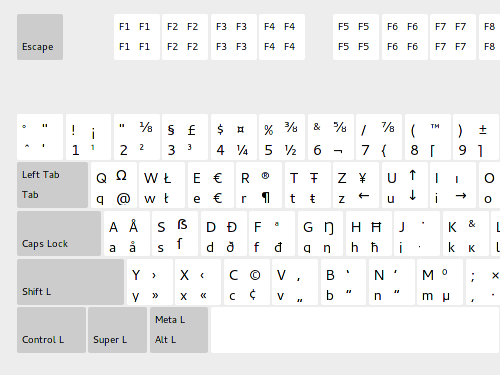 Now, the key that reads A on a German keyboard should map to å/Å on the third level. There might be more disciplined ways to customize the layout, but adding a line to one single file seemed to be appropriate for this job. 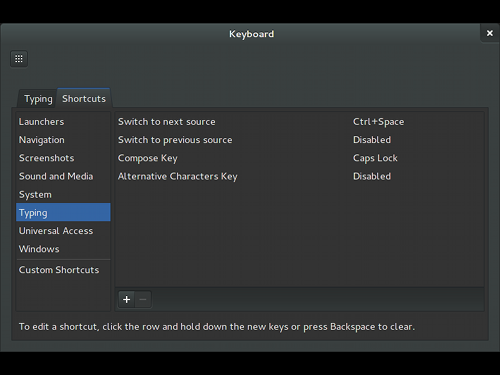 Update: I was told that there is an alternative (non-intrusive) solution via the keyboard settings panel in the GNOME control center — enable the Compose key, and then hit <Compose> + <o> + <A>.